Roman copy of Greek statue by Praxiteles C4th B.C. Two naked youths stand side by side, one with a hand resting on the shoulder of the other. The pair are crowned with wreaths, one holds a cup, and the other a torch held down to an altar. 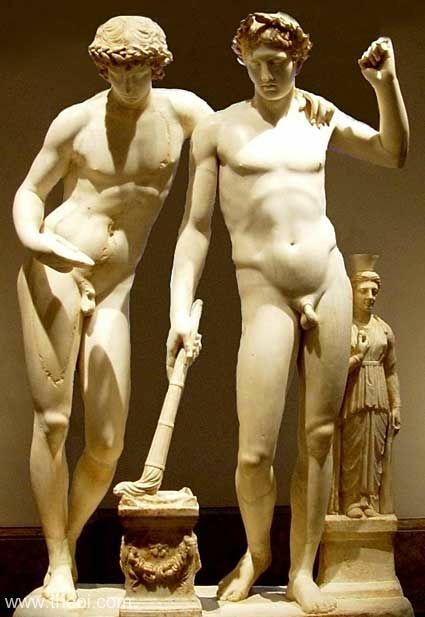 The statues perhaps represent the Dioscuri in their role as patrons of the Olympic games.